Rose E Kennedy (22 July 1890 – 2 January 1995) is known as the Kennedy family matriarch. Rose married Joseph P Kennedy, snr after a courtship of over 7 years. They were a privileged, wealthy Boston family. Over the next 18 years they produced 9 children. Two of their children, namely President John F Kennedy and Robert Kennedy were assassinated and one can’t help but think how terrible this would be for a mother to live through. Her marriage wasn’t easy and she eventually coped with her husband’s unfaithfulness by pretending it wasn’t happening. Their third child Rosemary was mentally retarded. Rose’s ambitious husband kept Rosemary’s mental retardation a family secret in order to keep up appearances. In an attempt to subdue Rosemary’s increasingly severe anger outbursts and mood swings, the family decided to have a lobotomy performed on her at the age of 23. This was a method used to calm severely mentally disturbed patients but didn’t help Rosemary. She was institutionalized for her adult life. Although her father never visited her in the institution, it was the motivating factor that propelled other members of the family, including mother Rose, to become involved in philanthropic endeavors. The younger daughter of Rose, Eunice Kennedy Shriver, became a champion of mental health projects, and founded the Special Olympics in 1968 for mentally disabled athletes. It’s interesting that good can so often come out of difficult circumstances. 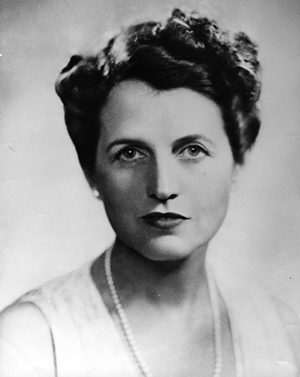 Rose Kennedy died at the ripe old age of 102 after having lived a very full life. Previous Previous post: Look fear in the face! Next Next post: Keeping quiet!